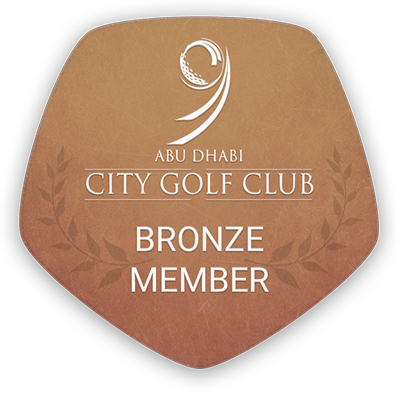 Explore the variety of Memberships at Abu Dhabi City Golf Club. Join up for a Golf Membership or make it a family affair by combining it with a Social Membership for your other half. Midweek Memberships and special Junior Rates are available too. 20% discount on Dusit Thani Food & Beverage outlets. 10% discount on A&E products (T&C apply). Worldwide discount on Europcar car rentals. Enjoy the flexibility and benefits of a Corporate Membership at Abu Dhabi City Golf Club – may it be for one individual, or a group of Executives – we have the right offer for you. The Corporate Membership does not only give you access to unlimited Golf. You can entertain customers at the 19th Street Bar & Restaurant, have preferred rates for Banquet & Event Bookings and enjoy the tranquility of our little oasis, right in the middle of the city, with ample parking and easy to reach. We provide you with a perfectly comfortable escape from the office!